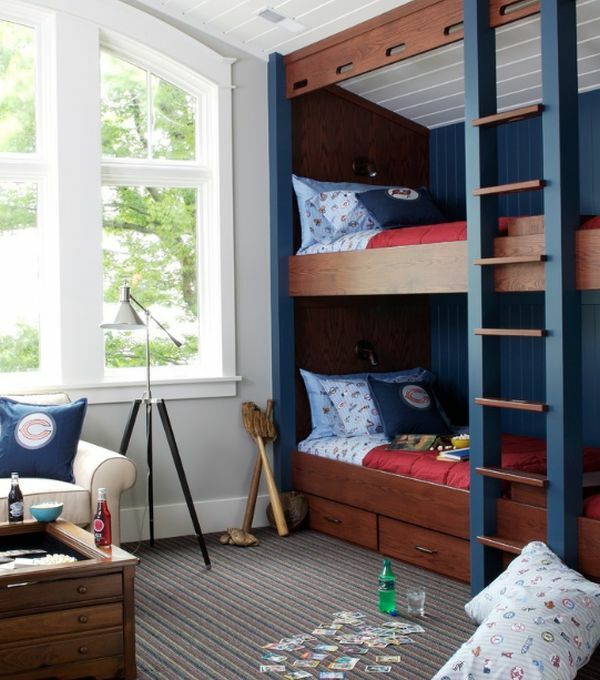 Bunk beds are all about combining a fun, playful vibe with space-saving solutions that help maximize available room. 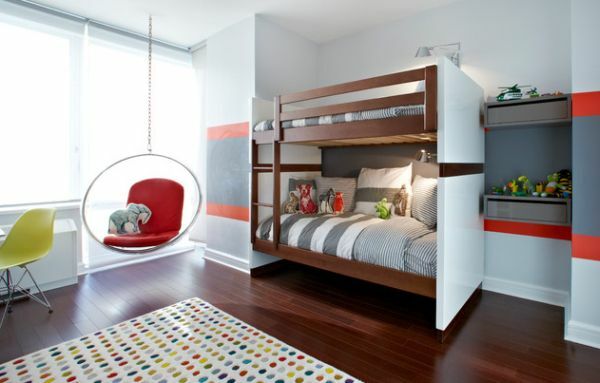 With space becoming such an essential commodity in modern homes, it pays to think vertically! Part of many amazing kids’ rooms across the planet, bunk beds bring with them a multitude of advantages. 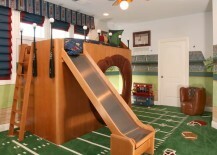 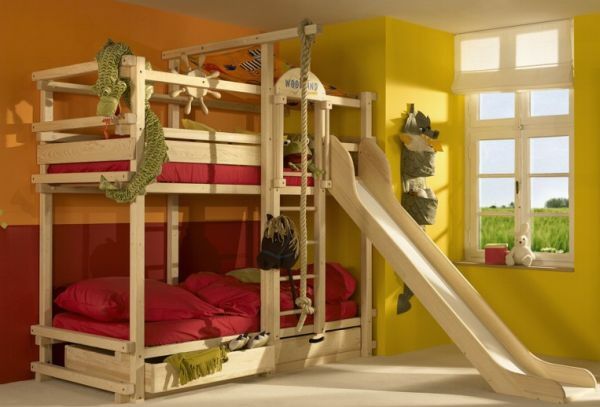 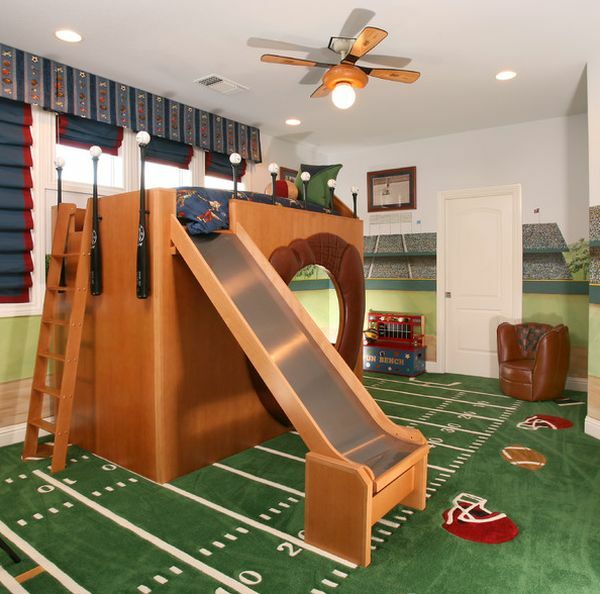 Yet modern bunk beds need not be confined to the kids’ room alone. 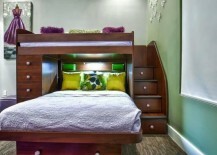 Even adult bedrooms and guest rooms can benefit immensely from smart bunk bed designs. 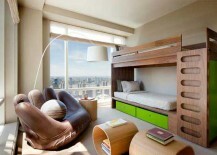 Combining brilliant ergonomics with pleasing aesthetics, they come in a wide range of styles and themes. 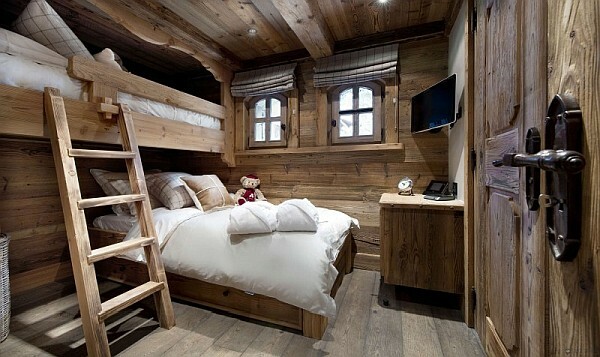 How about a bunk bed tower in the bedroom? 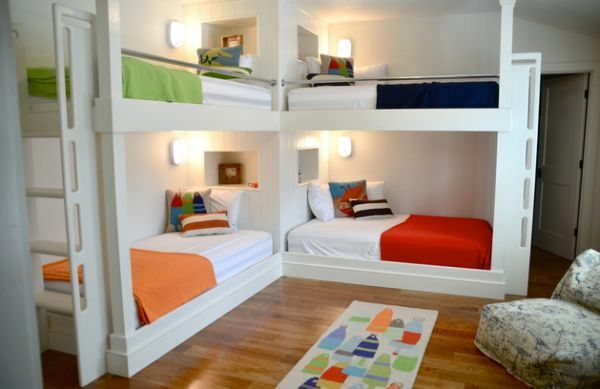 Twin bunk beds that fold away with ease! 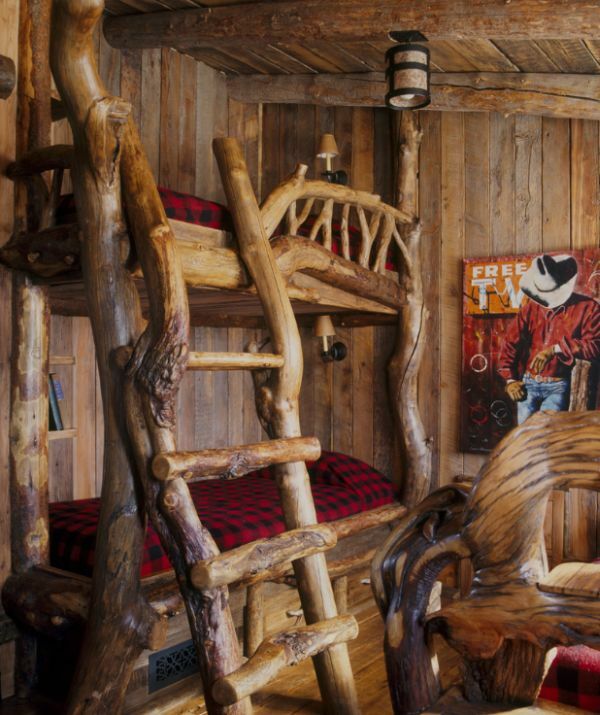 As with every other aspect of interior design, there is no ‘one solution fits all’ in the case of bunk beds. 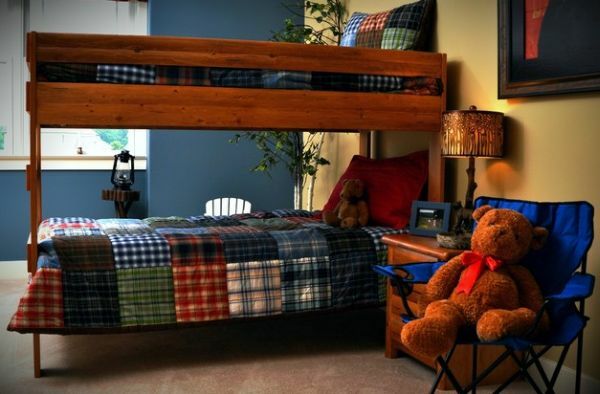 Since most homeowners opt for bunk bed installations in order to save on space, it is essential that the bunk bed you choose fits in perfectly with the specific requirements of your kids’ bedroom. 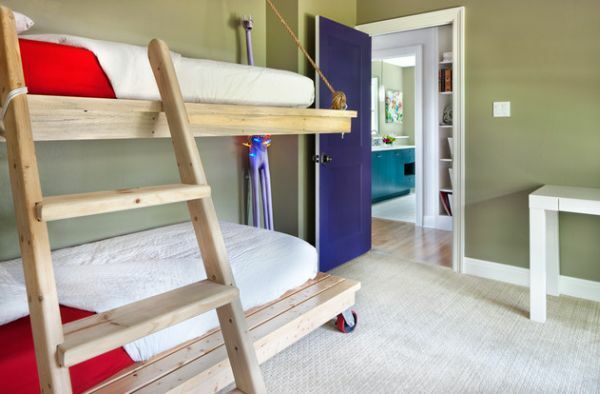 A smart way to go about incorporating bunk beds is to choose custom designs and built-in units that are crafted with the dimensions of the room in mind. 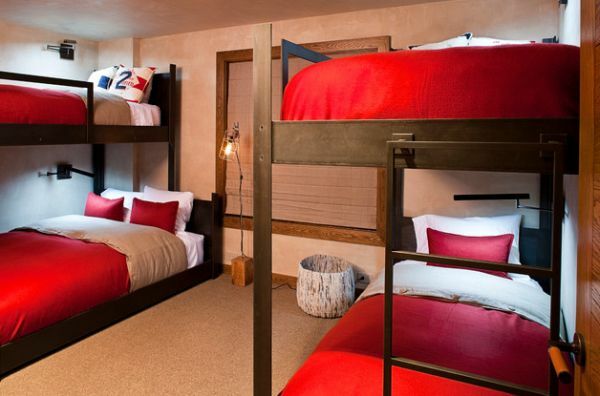 A bunk room is a trend that is quickly gaining popularity–not just among large families, but also among luxury retreats and cabin resorts that offer cottages for families. 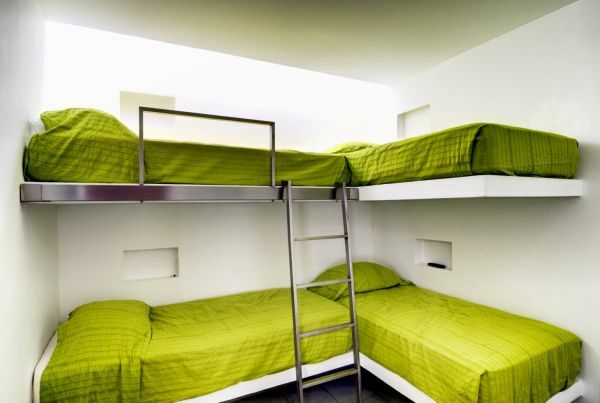 Bunk rooms need not always mimic the boring design of mundane dorm rooms and often have a casual and exciting vibe that perfectly captures your holiday mood. 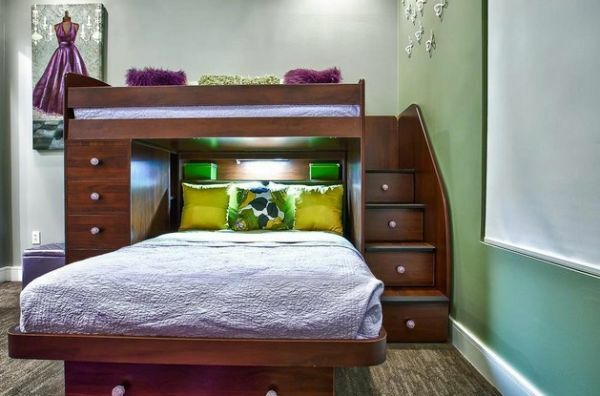 These large bunk bed units seem all the more cozy as you snuggle under a warm blanket in one of those snug niches, even as it starts to snow outside! 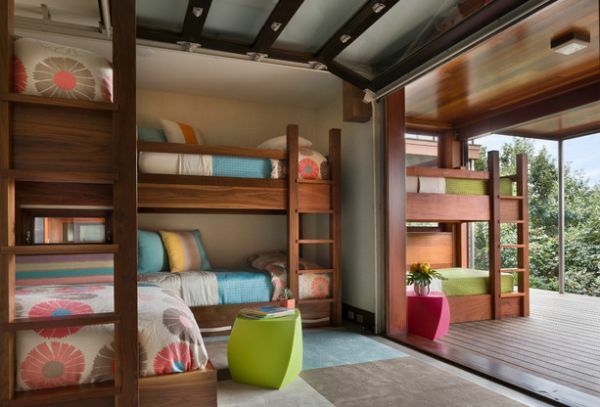 Bunk beds on the inside and outside! 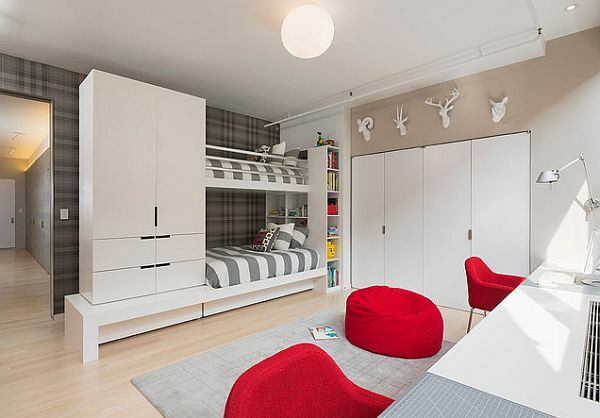 If you are picking a bunk bed for the kids’ room, it pays to invest a bit more in bringing home a selection that comes with plenty of drawers and a few smart shelves. 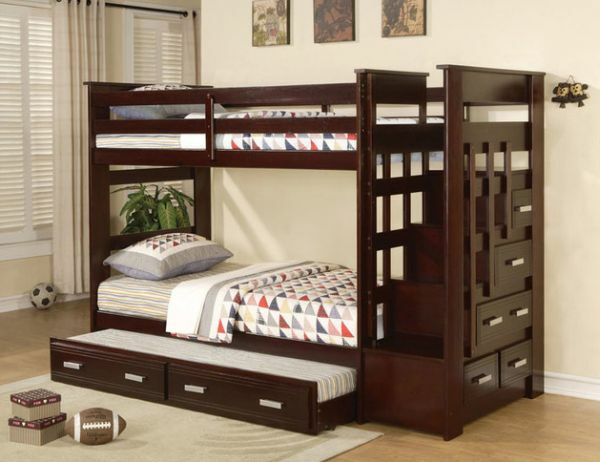 Contemporary bunk beds are available in a variety of shapes, sizes and forms. 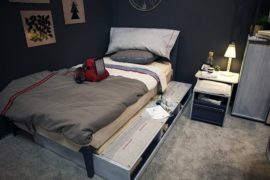 While some bring together the classic design of a loft bed with a standalone lower bunk, others tend to offer the convenience of a fold-away Murphy bed. 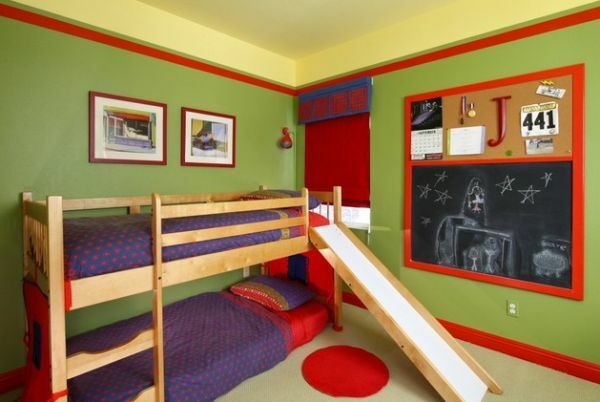 Some even have cool trundle bed features that allow your kids to quickly tuck away clutter and keep the room sparkling clean! 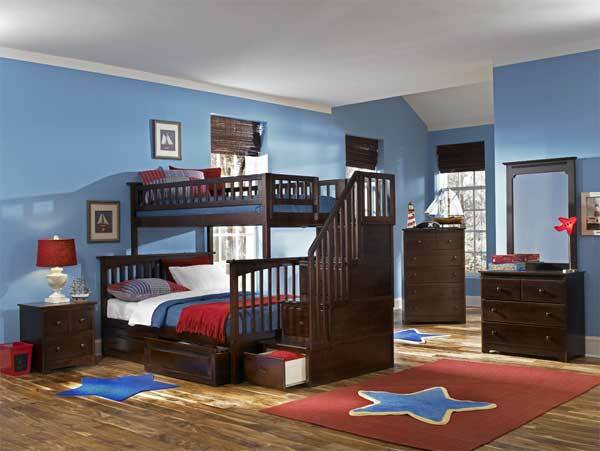 While storage space under the lower bunk is a common feature, there are plenty of bunk beds where the stairs to the top level offer additional room for the truckload of toys that your kids own. 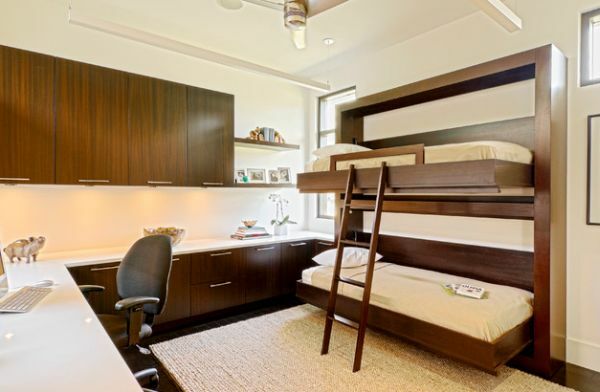 You can even go a step further and bring home elaborate bunk bed wall units that feature an integrated closet and even a study table. 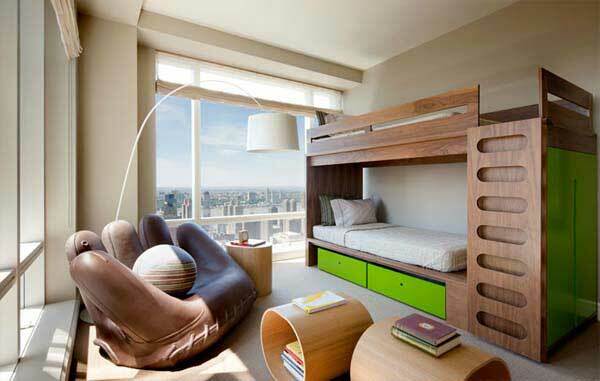 Gorgeous bunk bed with a slide! 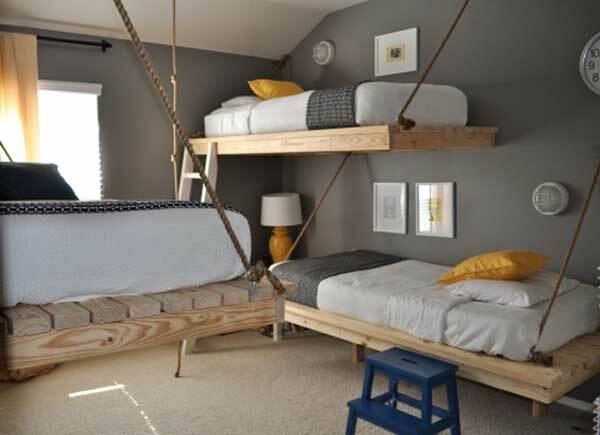 A different take on bunk beds! 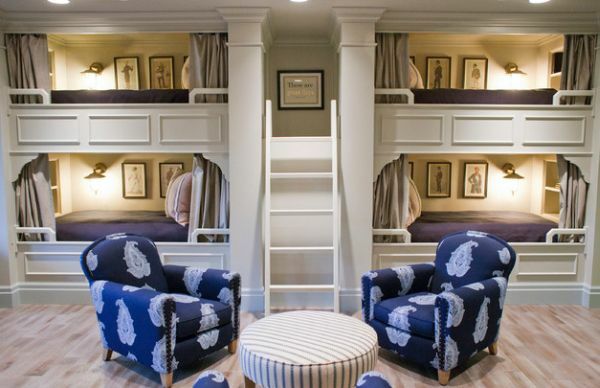 Why not put the lower bunk on casters! 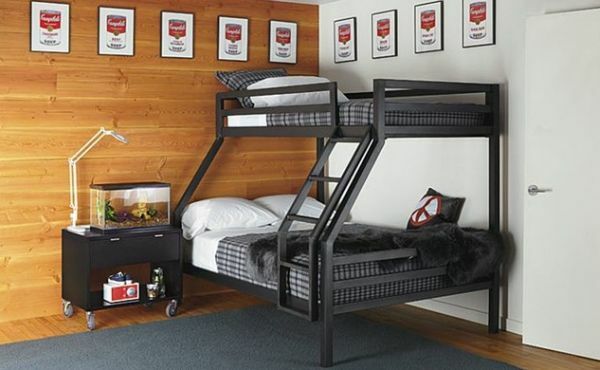 There are plenty of folks out there who will tell you that bunk beds are not for adults. 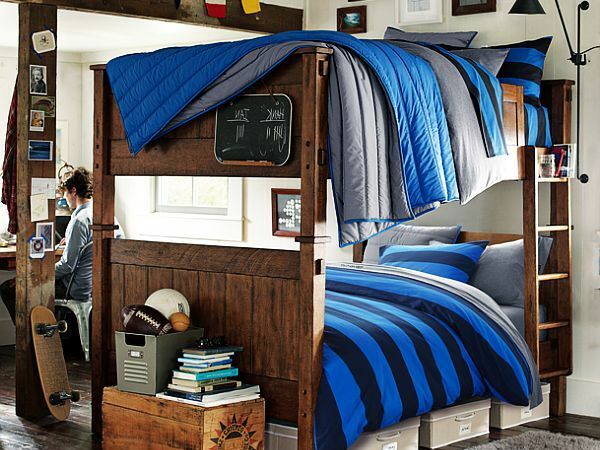 If you’re out of your college dorm room and have a spacious bachelor pad, your bunk bed days are likely over. 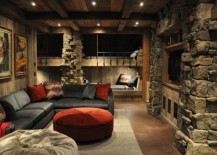 But that does not have to be the case every time. 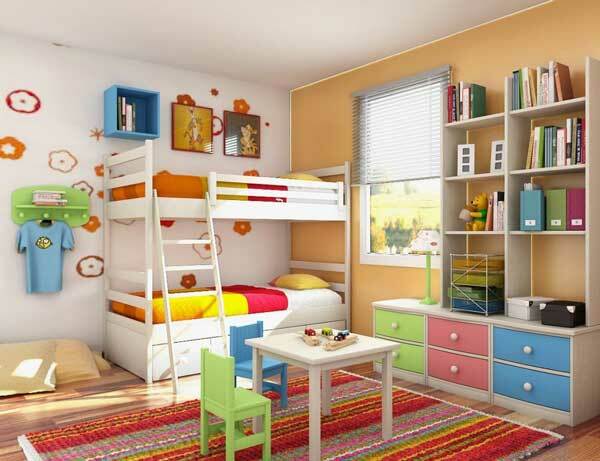 Stylish bunk bed designs can be part of an elegant adult bedroom as well. 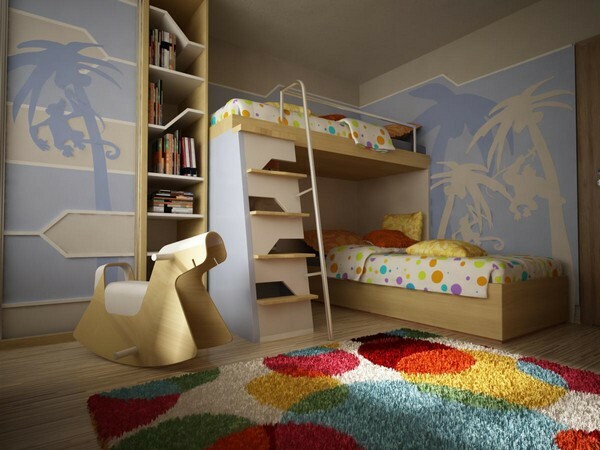 If you share a small studio apartment with a friend, bunk beds offer the ideal space-saving solution. 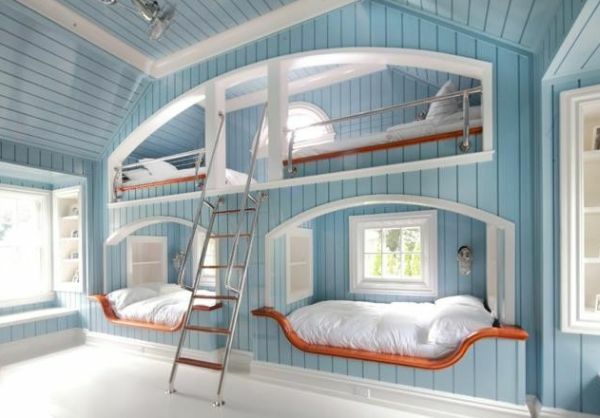 Just draw a bit of inspiration from the many designs here and improvise to come up with some sophisticated adult bunk bed designs. 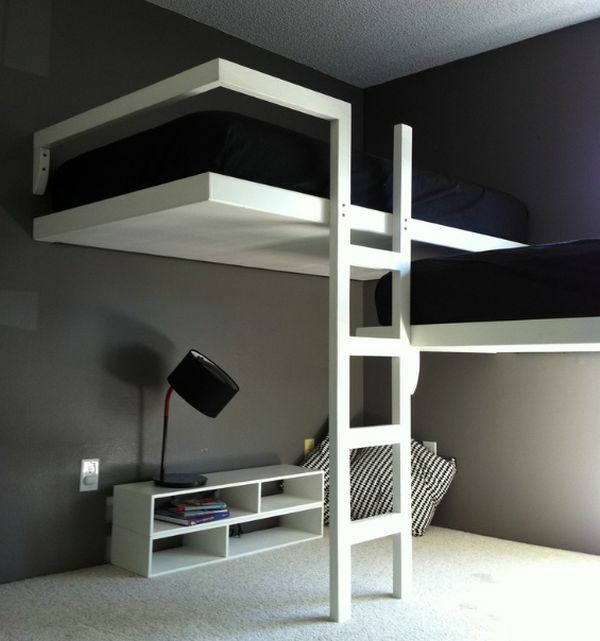 Elegant adult bunk bed idea- Modern and minimalist! 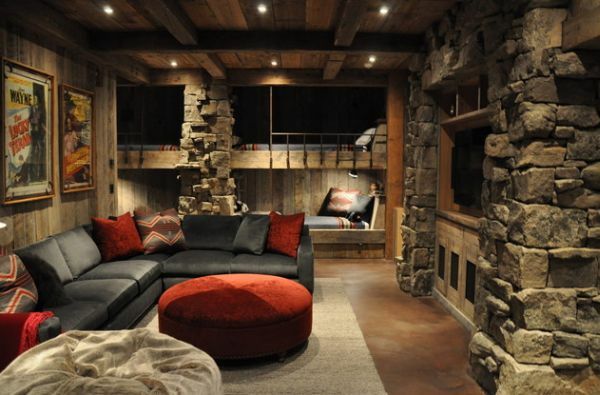 Most adult rooms would struggle to pull off such an elegant look! 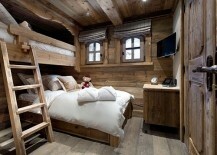 Amazing bedroom draws its inspiration from medieval dungeons!